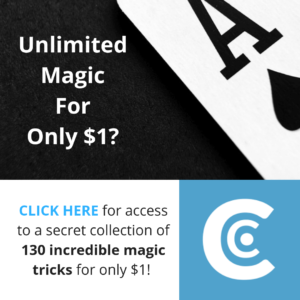 Want to learn some simple coin magic tricks that will amaze your friends? I’ve written a lot about card tricks on this website, but I thought it was about time we showed coin magic some love. Coin magic is awesome because almost everyone will have a few coins lying around the house that you can pick up and amaze them with. You can do coin magic at a cafe, a pub, or even a day out! People are always going to be carrying a bit of loose change around with them so it’s about time that you learnt how to do some magic with it. 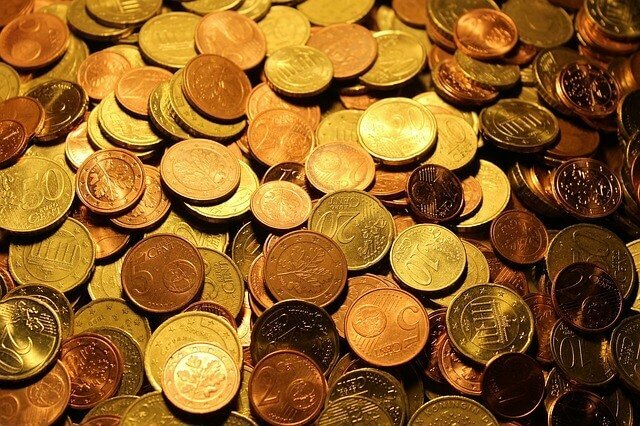 Here are 5 super easy coin tricks you can learn for free today. Let’s get the ball rolling with…. Yep. We had to start out this list with perhaps the most classic of all magic illusions- the vanishing coin! If you want a reputation as a master coin magician, this is one trick you are going to NEED to know how to do well. You can learn a really cool way to do this by watching Jay Sankey’s tutorial video. Jay Sankey is actually a professional magician who has performed with the very best magicians out there, but he’s dropping magic secrets left right and center over at his YouTube channel (SankeyMagic). One of those secrets is how to make a coin disappear using nothing but sleight of hand. Actually, he gives out THREE methods to do this, but they all achieve the same effect. First, he teaches you a ‘palm up’ retention vanish, then an ‘upside down’ retention vanish, and finally a ‘clipped’ vanish. Retention basically means making it LOOK like you put the coin in one hand whilst you actually RETAIN it in the other hand. All three techniques Jay teaches involve a retention of some sort- just three different types of retentions. Even if you’ve got this far, you probably wouldn’t understand the moves if I tried describing them, so here’s the video itself! Feel free to rewind it as many times as you like until you understand the mechanics of the moves. If you are having difficulties with one of the moves you don’t have to try learning all three of them! Instead, pick your favorite and work on really perfecting that one until you can do it nearly as flawlessly as Jay. My personal favorite is the ‘clipped’ vanish because I could have sworn I SAW the coin drop into his hand. It’s so visual and fooling, I would definitely recommend staying around until the end of the video to learn it! 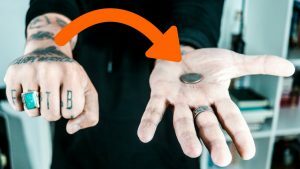 Of course, there are other ways to make a coin vanish but these are three of the most tried and tested ways of doing so. Now that you know how to make a coin disappear, let’s move on to some more complex but amazingly visual tricks! The magician displays an ordinary coin and an ordinary glass cup (preferably an empty one). He taps the bottom of the glass with a coin to show that it is solid and there is no way the coin could possibly get through. On the count of three he taps the coin against the bottom of the glass as hard as he can, and impossibly the coin travels THROUGH the solid glass. The magician shows that both his hands are empty- the coin really is in the cup. This is also a super popular coin magic trick, and there are loads of ways to accomplish the effect. Usually the method involves having TWO coins- one to hold in the hand and one to drop in the glass. However, the one I’ve chosen is much better than these because it can be done with a SIGNED coin; only one coin is used all the way through this trick. You can have a spectator sign the coin using a Sharpie or some kind of marker pen, and as for the cup, any glass cup will do. The reason you want it to be glass is so they can SEE the coin appear inside the cup as it happens. Once they’ve signed the coin, you let it lie flat in your hand. With you other hand you grip the cup by the edges. You tap the coin with the cup twice normally, but on the third time round you actually flick the coin up so that it bounces off the hand holding the glass and into the cup. Don’t worry, just head over to this link here to get a full explanation of the trick along with a video tutorial. Before you tell me, I know I’ve already explained the coin through glass trick, but this one is actually a little different. I learnt this awesome trick over at goodtricks.net, so be sure to check the site out for more great magic! This time, the glass is full of water! The magician shows the coin and the glass to the audience- they are both ‘legit’. 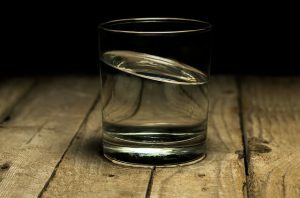 He then slowly and visually ‘melts’ the coin through the bottom of the glass and into the water. The best part is, the audience know that there is NO CHANCE you dropped the coin in since they word have heard the splash. Head over to the goodtricks website (link down below) for the full explanation along with a video, but here’s the basics. You put one of the coins inside the glass, so it is stood against the side. You cover it with your fingers as you display the glass as empty. 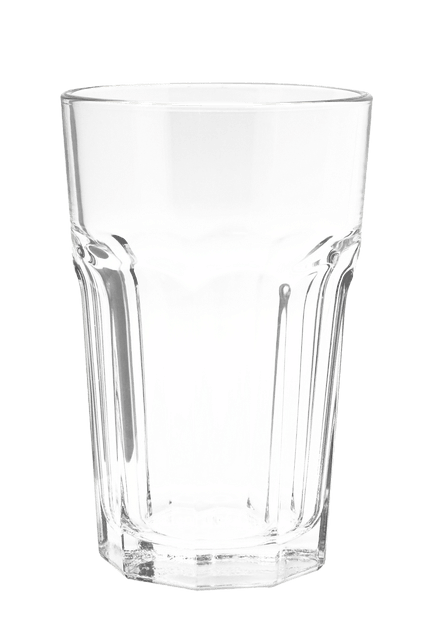 Then you pour the water in- the way water refracts light means that you can now remove your fingers and display the glass as empty. You take the second coin and hold it at your fingertips. You press your hand up to the glass and let the coin slide as you rotate the glass. The coin that was hidden should now be visible, making it look like the coin has traveled through the glass! Click here to view the video explanation! Chances are you’ve done this trick before without meaning to. It’s a fun game, but it can become an even cooler magic trick if you know how. 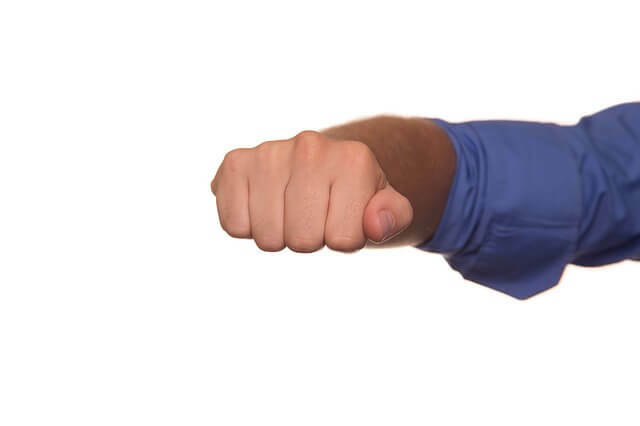 You give someone a coin and ask them to put it in either hand behind their back and make a fist, so that you don’t have any way of knowing which hand it is in. Even though they do that, you guess which hand the coin is in every single time! There are some really complex ways to do this including magnets and expensive equipment, but honestly, the best way is just by observing someone’s body language. Below is the thumbnail from a video from Chris Ramsay, who has a great tutorial of this effect on his YouTube channel! For example, most of the time their nose will actually point slightly toward whichever hand the coin is in. I know it sounds like I’m making this up, but that’s genuinely true! Also, watch out for a small flicker of the eyes toward the hand that the coin is hidden in. I’m talking milliseconds, but it’s there. If you guess it right the first time, I’ve found that 90% of people try to be clever and keep it in the same hand. That isn’t a guaranteed thing, but for some reason people do seem to get attached to the hand they picked first! Another technique you could try is to ask them to cross their arms over each other. Most people tend to put the guilty hand beneath the empty one, as if they are ‘hiding’ it. The most important thing is just to get out there and give it a go because honestly, you are going to get it wrong. The more you do it, the better you’ll get at picking up on the little tell-tale signs that give away where the coin is. And if worse comes to worst, you could just use the coin to do one of the other tricks we’ve discussed! If you already have experience with coin magic, another great way to finish this trick off is with the ‘coin under the watch’ effect. Obviously, this only works if the person is wearing a watch. I love this because the secret ‘move’ where you deposit the coin under their watch is a natural part of the performance and ties in very nicely with the ‘guess which hand’ trick. I put my hands behind my back and drop the coin into my back pocket. When I bring out my hands, they are (of course) both empty. Once, the spectator realizes this, they might accuse you of cheating. At this point I say: ‘No, watch. Watch. WATCH.’ and point at their watch. They discover that the reason the coin isn’t in either of my hands is because it is right beneath their watch! This effect can get you some CRAZY reactions and is the perfect way to round off your trick. There’s something really cool about this trick. I think it’s the fact that you’re LITERALLY pulling coins out of the air, with sleeves rolled up and nothing in your hands! You grab three coins (in a row) out of the air, in the cleanest and most impressive way possible! What makes this trick so good is the move it uses, called the ‘shuttle’ move. Even when you know EXACTLY what is going on, it still fools the heck out of you. 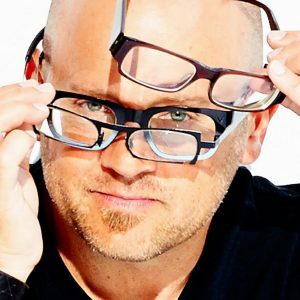 Here’s a brilliant tutorial for this trick by Jay Sankey (the same guy from Number 1, I know). The most important part to practice is definitely the shuttle move. Once you get this bit down, the possibilities are endless! You could mix this routine up and have different types of coin appear each time, or even different objects! Well, I hope you enjoyed learning these simple coin magic tricks; you might even be able to find a way to combine a few of them into a full routine! Coin tricks are awesome because unlike a deck of playing cards, most people will have a few coins handy whatever the situation. You can do this magic wherever you are! If you still have any questions, feedback or comments feel free to leave them in the comment section below and I will get back to you within 24 hours! This is very entertaining. I literary practiced the first one. Now I can use it with my 9yr old daughter. Thanks for sharing your magician tips. I’ll save your website I can learn some more next time. Thanks Che! Glad I could help you out; the first one is a great place to get going with. Let me know if you still have any questions! Oh wow, endless hours of entertainment right here. Actually was thinking, do you ever charge admission for a magic show? Could be a really fun side gig, and these tricks seem like the perfect place to start. Anyway, I’ve gotta practice making this coin go through my glass so I can amaze my boyfriend later. Cheers! Yeah I have considered it actually, it’s still an idea in development at the moment though! Glad you enjoyed, let me know how it goes for you. Awesome! Plucking coin from air is really a cool trick. I am trying it now! That’s one of my favorites too! Keep on practicing. Thank you! Just a bit of practice everyday is all it should take and you’ll be there in no time. I actually remember going and doing lots of these tricks to fool my friends!! This is great bro and very informational thanks so much!! Will be trying these again. 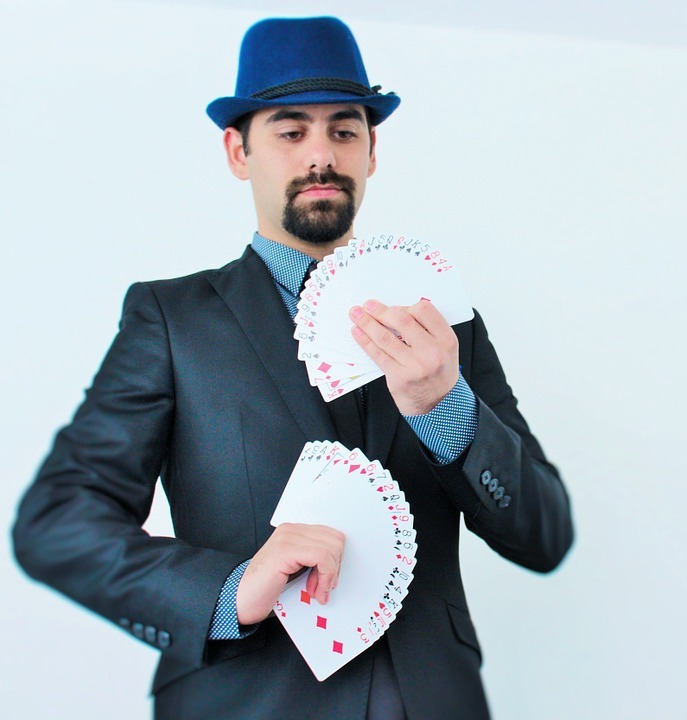 I am an amateur magician, not planning to go any further than making something nice for my friends, but I can tell you that your site is a must bookmark for beginners like me and for pros too. Great content and this tricks with coins are really something to add to the human skillset! Thanks for the kind words! Magic is awesome because it’s just as fun, whether you’re an amateur, pro or even just a spectator! That’s one of the things I love most about it. I love these tricks! I am going to practice all night until I master them. My daughters will be blown away if I can get this right….I’ll be sure to check out your other tutorials a swell! Glad you liked it! Keep me updated on how it goes! Well you’ve done it again. I could spend half my day watching these tricks and videos over and over again. Excellent article… I can’t do anything close to the video yet but I’m sure with practice it’ll happen. Target – get one trick perfected till my daughter’s birthday in November. Thanks for sharing these trucks. That’s a great goal to have! I’m sure you can get there by November. Firstly, I have visited your site before and I wanted to say again how much I love coming here and checking things out! So many cool tricks too. I love doing magic tricks! Also, I thought a magician wasn’t supposed to share his secrets.. Duh duh duhh. Just kidding, now us regular folk can be part of the secret! Thanks for the awesome comment Kahlua! Well technically I’m not the one sharing them, I’m just pointing you in the right direction!